Why Bitcoin may reach $20,000 per coin sooner than we think and hope!? IMAGINE, the whole world without national borders it’s your market!? This is Bitcoin in all it’s REALITY. The most famous, the first, the diamond of all cryptocurrencies (and by the way of all known currencies) bitcoin has had more than five-fold increase in price since the start of the year. Its hit a record high price of just below $5,000 at the start of August, and it has been the main driver of a boom in value of all cryptocurrencies which started year valued at $17 Billion and are now worth close to $180 Billion, more than ten-fold rise. So what’s magical about Bitcoin that we believe could reach price of $15,000-$20,000 much sooner than we think and hope. Bitcoin is a genius, revolutionary and yet a simple creation of a brilliant mind of Satoshi Nakamoto. Nakamoto devised a way to enable the transfer of value through a blockchain technology, among a network of people who don’t trust each other, (Trust-less transactions) that would not be under the authority of any government or regulatory body. Behind this incredible success of Bitcoin lies some of its main properties engrossed in it that drives the actual and future massive rise in price. The World Economic Forum predicts that 10 percent of the world’s GDP will be stored in blockchain technology in 10 years time representing whopping $7,8 Trillion in value. People just don’t have a real appreciation for how huge the idea of Bitcoin and Crypto assets really is. Guess what? There are just about 16.5 million Bitcoins in circulation with maximum in couple of years 21 million coins, and the whole world is a market with 7 billion people, potential users! Can anybody find anything more scarcer than this in real world? The Bitcoin is THE VERY FIRST of cryptocurrencies and soon will become the synonym for scarcity and wealth. Of course the price will go up, even gold will not be a match for Bitcoin. Bitcoin’s total market cap is higher than the General Motors, American Express, Netflix,,, Who could imagine that just a year ago! While it is possible that traders or payment processors could be hacked, the blockchain itself is unbreakable and secure. There is no single point of failure, there is not a centralized honey pot for bureaucrats, or bankers to steal or to corrupt. The transactions happen peer-to-peer in networks, and there is no trusted intermediary needed to intercede and skim profits on behalf of the transactors. Transactions with Bitcoin can travel beyond artificial constraints such as national borders, and at very low cost. You send the value with just a click similar to sending the e-mail. Bitcoin do not require permission from authorities to build or upgrade. Bitcoin is becoming increasingly easier to purchase and trade through many exchanges and ATM all over the world. 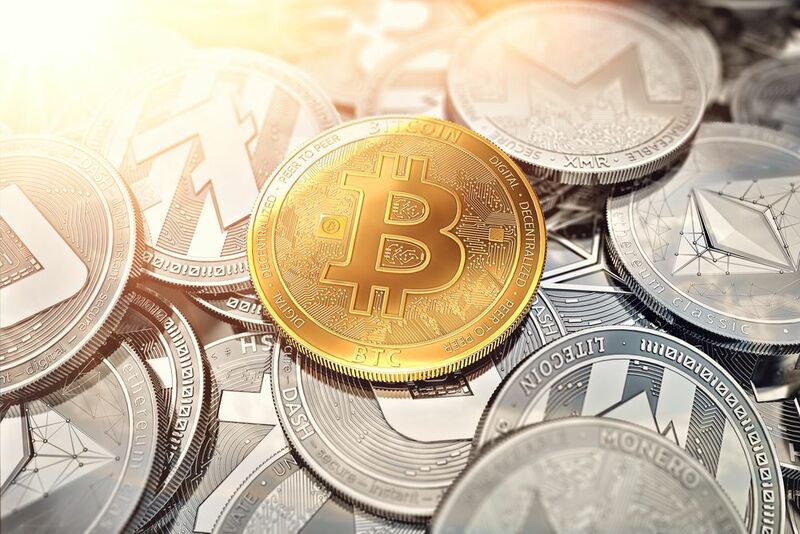 It’s becoming increasingly popular in many states, and accepted more and more by traders, financiers…and is in a good way towards mainstream acceptance. You can buy an apartment in Dubai, Real estates, yachts, a college degree, Airline ticket…. Bitcoin can be purchased and sold almost instantly in any amounts or it can be converted to other currencies and local currency at a moment’s notice. As above mentioned Bitcoin can be used just like fiat currency. You can buy and sell just about anything with Bitcoin, goods of value and as a form of currency exchange. It is also very fast and inexpensive to make transactions in comparison to traditional banking. If you will send remittance of $100 value through traditional banking system it will take several days and with expense of $30, but with Cryptocurrency it will take a few seconds and with minimal expenses. What a revolution will be for developing countries, for remittances. Bitcoin during all of its existence has been the best of all currencies like a store value. Imagine if you would have invested just $100 in 2010 of Bitcoin you could have now millions of dollars! Of course Bitcoin during it’s lifetime has had quite tumultuous existence with it’s ups and downs, but those temporary fluctuations are meaningless and are only created by speculators. In a long term Bitcoin is one of the best possible investment. Bitcoin will be god given tool for the developing or emerging markets where local currency may be unstable with high inflation due to political issues (for instance Venezuela). Bitcoin will be the best option against fiat money for the part of the world population which is non-banked, since all is needed is just internet connection and no middleman like banks or other classical financial institutions with their exorbitant costs. Why limiting the price of bitcoin at let’s say $20,000 when the opportunities and reality could exceed that target manifold? As much as people all over the world understands Bitcoin’s usefulness and advantages adoption could grow rapidly. Every part of economy, every single type of business could be touched by it..
Bitcoin and digital currency will remake completely new monetary system. It is expected that as the financial capitalization of digital currencies have reached $180 Billion, more and more institutional investors and “big money” investors will join the ride in this global network, and with the climbing of demand we will reasonably expect the rise of price of Bitcoin. Bitcoin is too big, too huge, too revolutionary, and nobody can stop Bitcoin, it’s doomed to succeed.